THE relief was clear to see on Kelly Simm’s face after she earned a Commonwealth bronze medal on the beam on Monday to complete her own ‘redemption’ story. 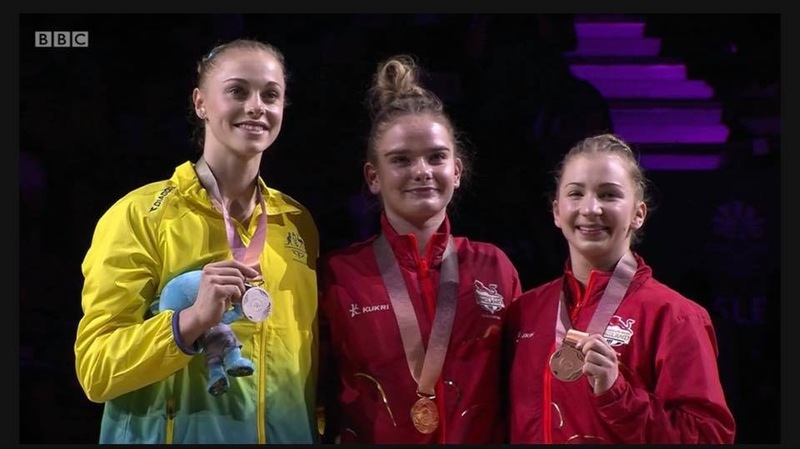 The 22-year-old – a key member of the England women’s team that claimed silver last weekend to kick off this gymnastics event in fine style – has struggled individually up to this point on the Gold Coast. She fell off the beam in the all-around final to cost herself a medal and then ended sixth in the uneven bars apparatus final. But on Monday she returned to the beam – her nemesis 48 hours earlier – and produced a clean run of 13.033 to take bronze. In an interview with South Coast Journalism on Wednesday, new 2018 British All-Around and Bars champion Kelly Simm said she still couldn't believe what she had achieved and didn't know if her accomplishment will ever sink in. Whilst undeniably talented and more than capable of competing against some of the best gymnasts in the world, Kelly could be considered a surprise champion because she has only just returned from the second of two major injuries in as many years. Kelly beat Amy Tinkler to the all-around title with a championship winning score of 53.400 before going onto win the bars title the following day (as well as a bronze medal for the beam). The 22-year old Dynamo School of Gymnastics star admitted that neither her coach or herself look at the results whilst she competes, which meant that Kelly had to be told she was champion. 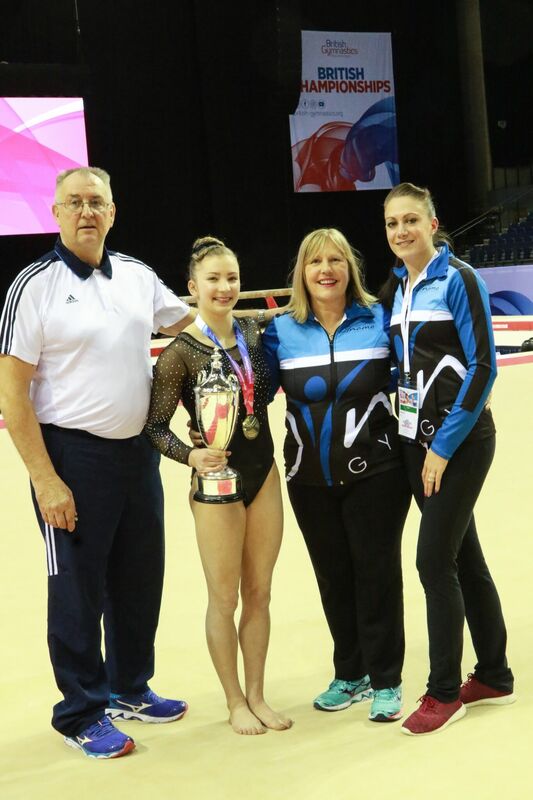 The Whiteley gymnast won four gold medals in the prestigious international event, where gymnasts from her club Dynamo also put in some fantastic displays. Simm was left out of the Great Britain squad for the Rio 2016 Olympics. But she has since increased her difficulty levels and was rewarded with four titles at the Rushmoor Academy. SOUTHAMPTON’S Kelly Simm may have been disheartened to not compete at the Gymnastics World Cup last weekend, but is in full preparation to produce her best in her opening competition of the season next month. The 20-year-old was ruled out of her first world cup event due to injury, after being selected as a wildcard for the British team, but is returning back to her best, just in time for the British Championships in April. 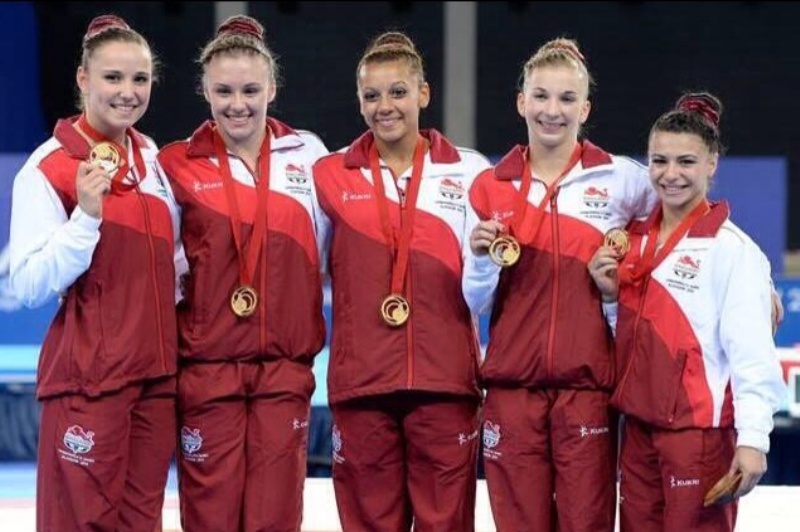 Second year student and artistic gymnast Kelly Simm represented Team GB at the World Gymnastics Championships in Glasgow in October this year, where they won their first ever world team final medal. Kelly, who is in her second year of studying BSc Applied Sports Science at Solent and a member of the University’s High Performance Academy, was selected alongside five of Britain’s best gymnasts. We spoke to Kelly to find out how it felt to win bronze with Team GB, how she puts aside her nerves and how she is preparing for Rio 2016 trials. OLYMPIC hopeful Kelly Simm has scooped her second Sports Award inside six days. 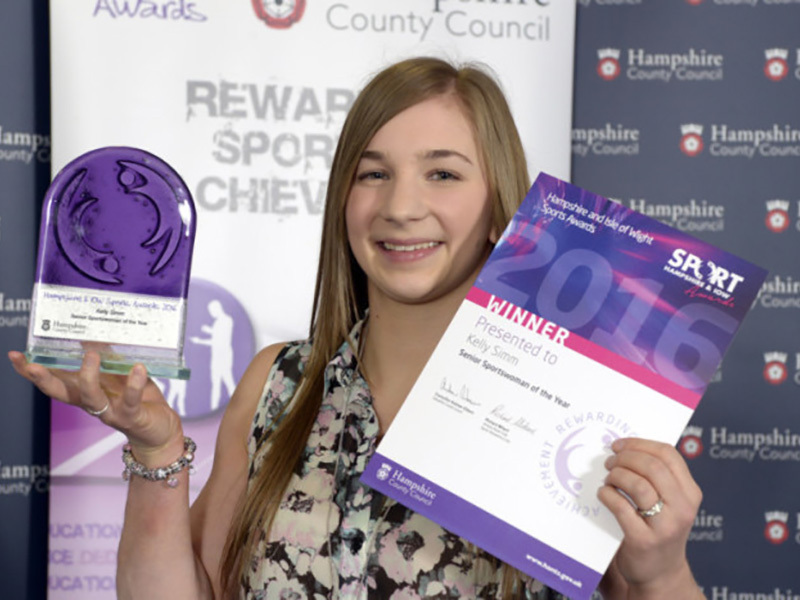 Fresh from winning the senior sportswomen prize at the Winchester Sports Awards, she picked up the Senior Sportsperson silverware when the Eastleigh Sports Awards were held at the Hilton Hotel. 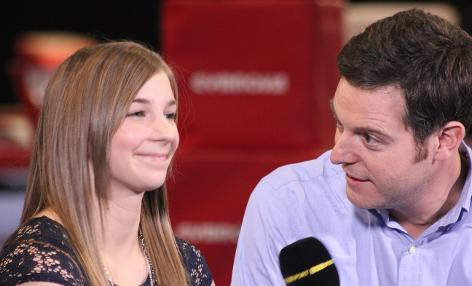 Gymnast Simm lives in the Winchester area but her club, Dynamo School of Gymnastics, are within the Eastleigh district. Olympic gymnastics hopeful Kelly Simm says she is "excited" to make her return from a back injury at the British Championships on Saturday. Simm was part of the Great Britain squad which won team bronze at the World Championships in Glasgow in October 2015. The 20-year-old missed the 2016 World Cup in March, but is fit to compete in all events in Liverpool at the weekend. 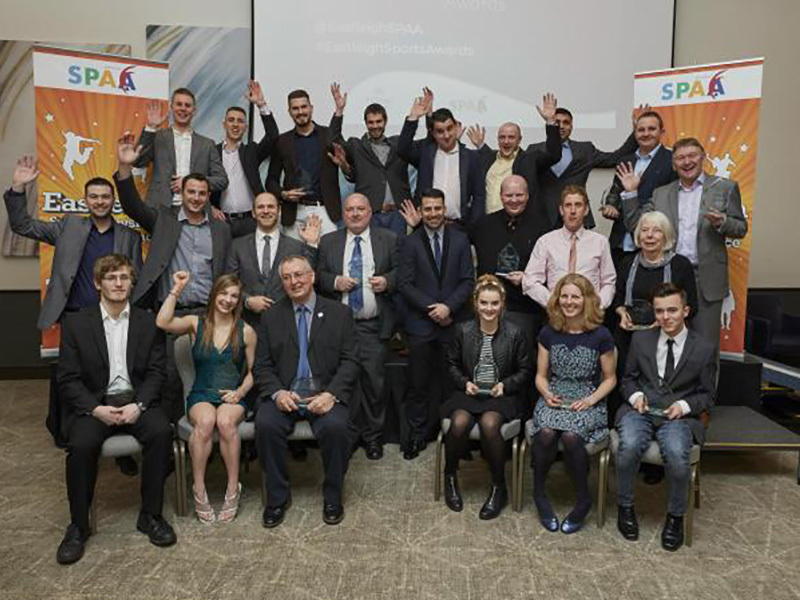 Sportsmen and women across the area were recognised for their achievements at the Hampshire and Isle of Wight Sports Awards. Fareham was represented at the awards with three nominations among the 18 award categories and three winners. Joanna Corben won master sportsperson of the year for her outstanding achievements in swimming during 2015 for Fareham Nomads and Kelly Wallis won participation coach of the year for her contribution and support to netball in the area.